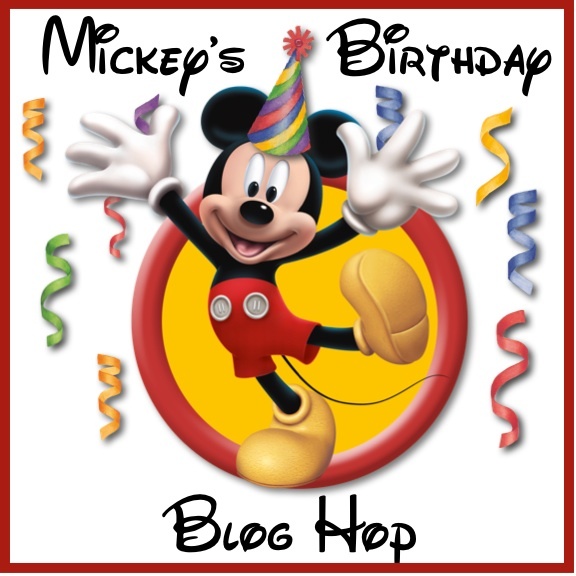 Growing Up Disney: "Best Of" Week: Mickey's Birthday Blog Hop--Cake! 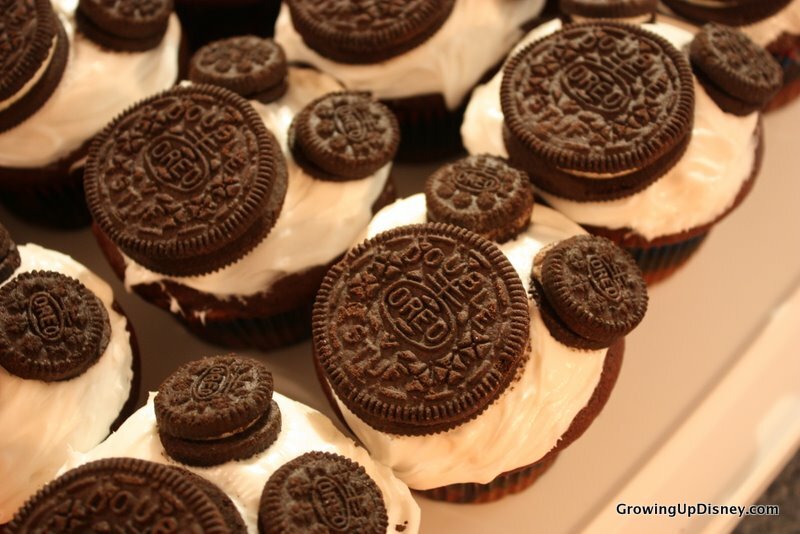 Joining us from Pinterest? Welcome! 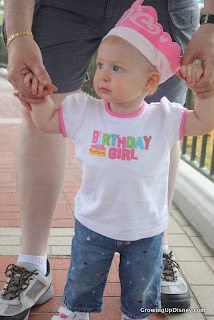 Please check out our other posts on Minnie Mouse Birthday Party Ideas, Minnie Mouse Party Attire, and Winnie the Pooh Baby Shower Ideas. Welcome to our Mickey Mouse Birthday Party Blog Hop! 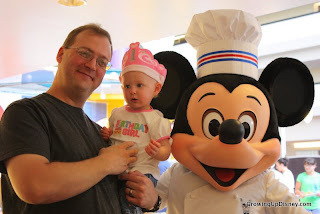 This year Mickey Mouse will be turning 83 and we thought it would be fun to all celebrate with our little ones. 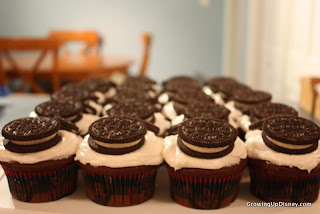 I’ll be sharing about cake for the party. You can find links to the other party ideas at the end of this post. and I'm bringing the cake to the party. 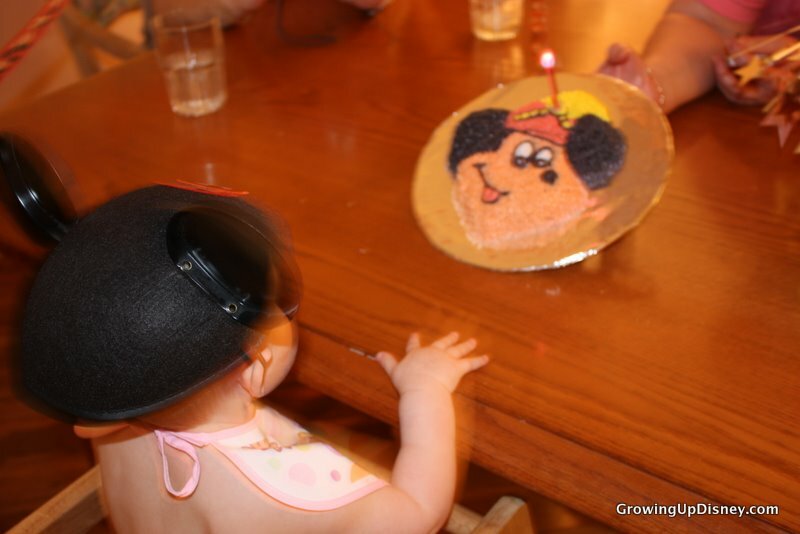 We've celebrated lots of birthdays in the Growing Up Disney family with Mickey Mouse cakes. 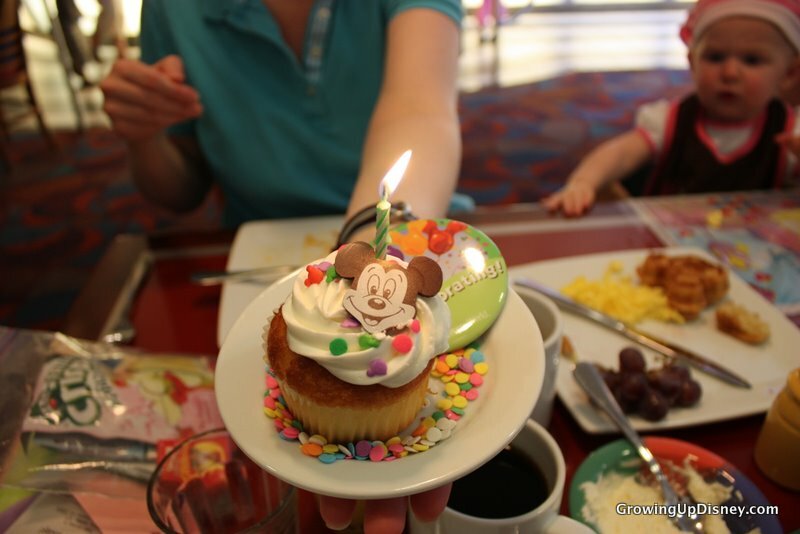 DisneyDad and Mom used to own a bakery, so we've always been spoiled with beautiful and delicious cakes. The large cake. I think Mickey would be proud. Tink had breakfast with Mickey on her first birthday. She enjoyed the food but wasn't totally sure about the characters. The birthday girl with Granddaddy about to board the Monorail. 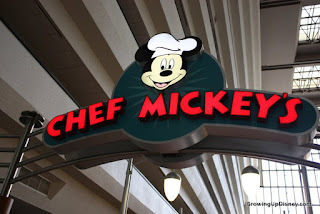 We hadn't been to Chef Mickey's since it moved from the Marketplace a billion years ago but we all enjoyed our breakfast. Chef Mickey's celebrates ALOT of birthdays. So many that this cupcake was still warm when they gave it to us. The Mickey liners don't look like much after being baked. 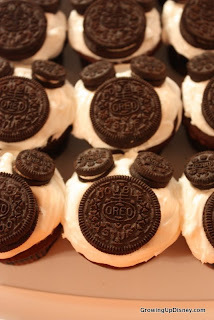 They'd probably work better with a light colored cake. If the cake in the following pictures looks familiar, it's because it's the same pan as was used for Tink's smash cake. My parents' pan had been loaned out and not returned but Uncle Chris found a matching one on eBay. 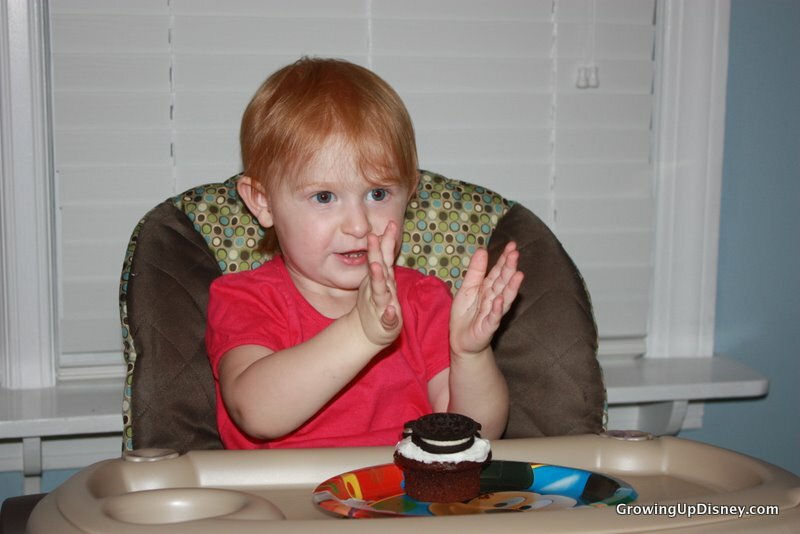 These are from my 2nd birthday. Love the late seventies pants! Thanks for joining us as we celebrate Mickey’s Birthday! 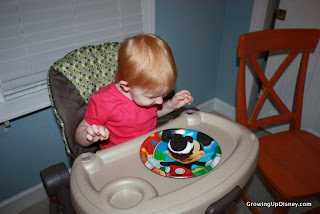 Don’t forget to check out the other blogs for great ideas on a Mickey Mouse Birthday Party! 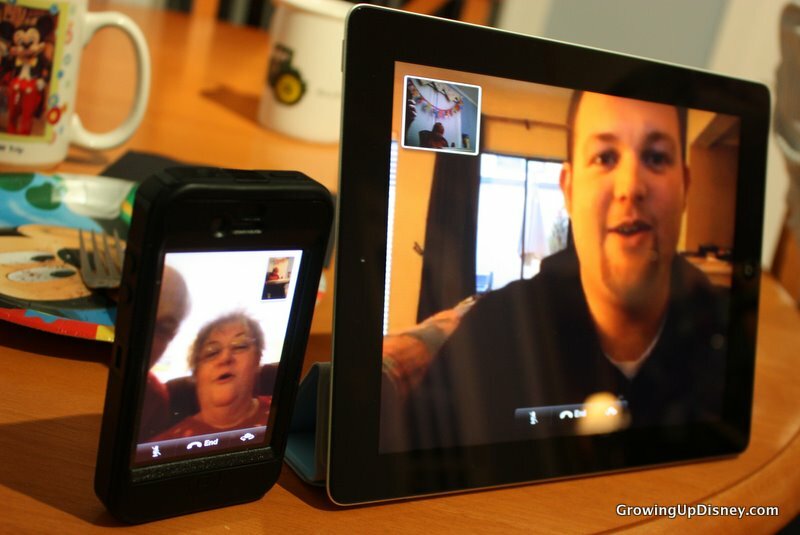 This article originally appeared on Growing Up Disney on November 18, 2011. I love the Mickey cupcakes! Great way to make them fun even when time is short. I love the history of that cake pan. What a great history. Love it! I agree, love the Mickey pan story as well. 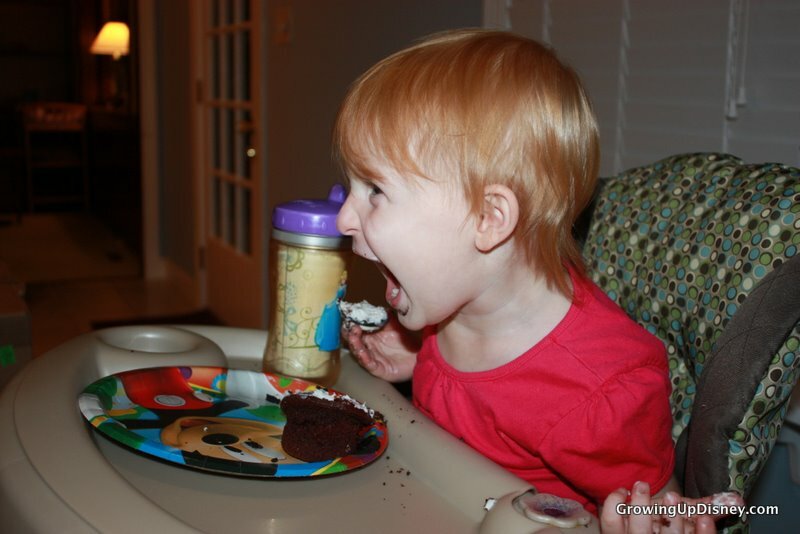 That's too cute the two of you had the same cake to celebrate. that is so much fun!! I love the reference to space mountain!! to cute! 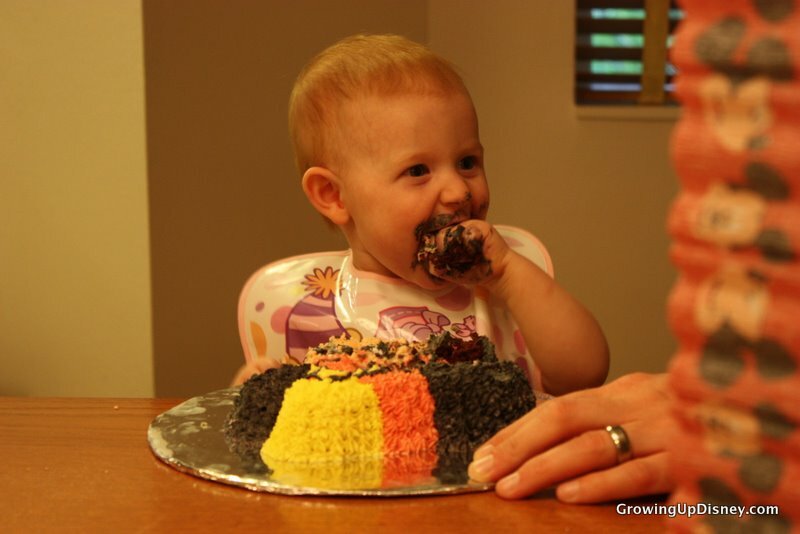 Love the cake - it looks adorable! I actually have that Marching Band Mickey cake pan from my mom, who made it for my brother when he was little! 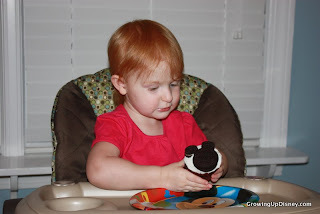 Fun blog hop!! Great cakes Amy!! You started me to thinking...And I remember, I had a Mickey Mouse birthday cake for my 5th birthday. 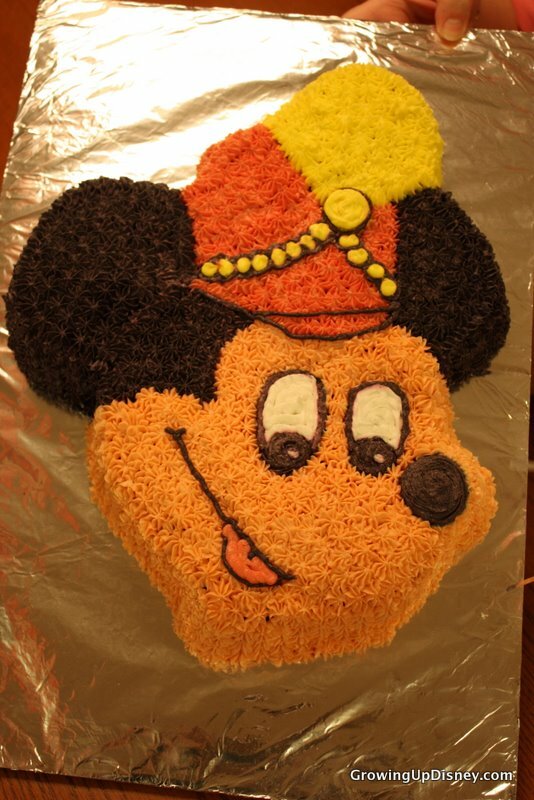 It was a full sheet cake with a huge Mickey face on one side and a carousel on the other. I loved it. I wish that I had pictures. That was thirty-eight years ago.